GWC’s Center for Global and Cultural Programs brought a world of culture to campus on Wednesday, November 14, at its International Festival. 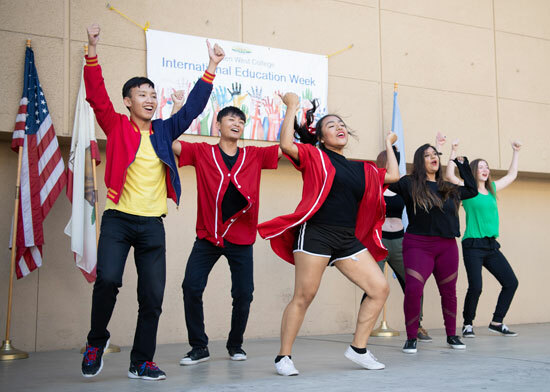 The event kicked off the campus’s International Education Week, which raised cultural awareness through a celebration of music, dance, and initiative. 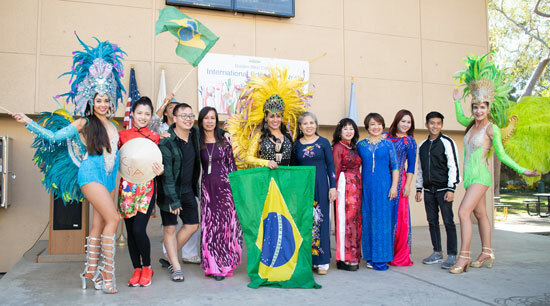 This year’s festival offered attendees cultural performances, study abroad booths, country booths hosted by international students, language lessons hosted by GWC faculty, internationally-connected GWC department booths, a U.S. Passport Application Station, international foods, prizes, and much more. On Thursday, November 15, students were provided information on the London Study Abroad Program by Professor Moore, and given the opportunity to meet fellow students interested in studying abroad. Later that evening, international students, alumni and friends celebrated Thanksgiving a week early with turkey and all the fixins. For more information about GWC’s Center for Global and Cultural Programs, please visit: goldenwestcollege.edu/cgcp.